If you know me, then you'll know that there are two makeup products that I love: liquid eyeliner and lipstick. And, since I'm a huge lipstick fan I decided to see which type was better: normal vs liquid lipstick. For that, I decided to run a little test with four of my own collection with similar colours, two nudes and to reddish, being two normal and two liquid, and see their differences. 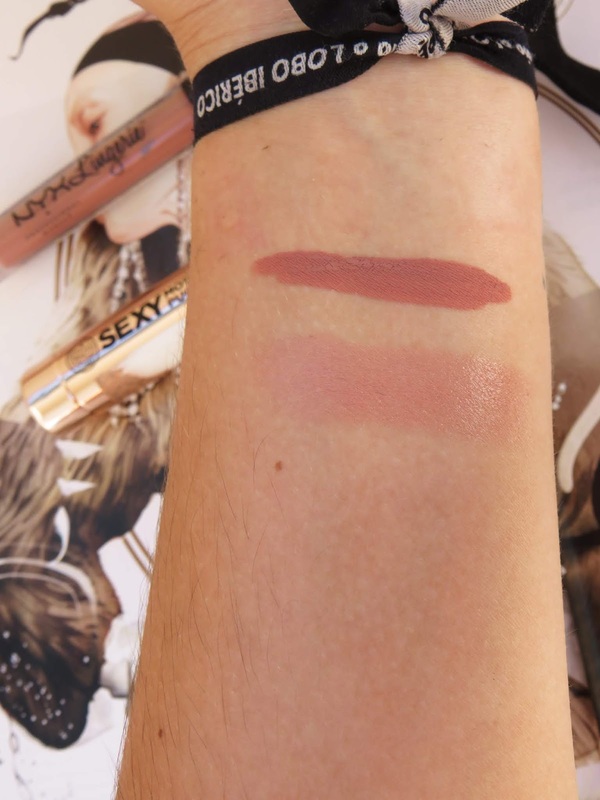 Nudes: The Soap & Glory one, is a tube lipstick and it's a little lighter in the skin and lips, while the NYX Cosmetics one is a little bit darker. 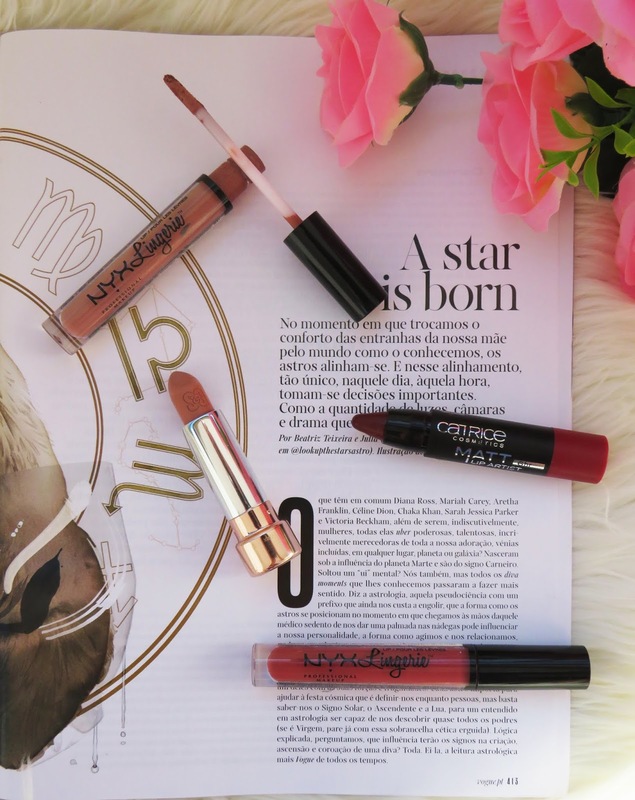 Reds: Both cases show a strong pigmentation on the skin and also on the lips. The difference that you can all see is the consistency. 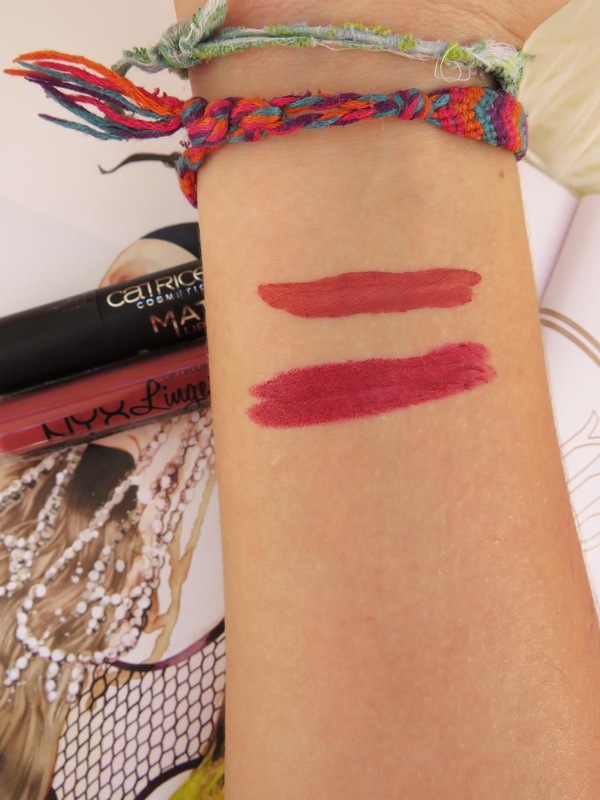 While the Catrice Cosmetics tube lipstick shows a drier consistency, the NYX Cosmetic liquid lipstick has a more wet consistency and becomes dry fast on the lips.